Michelle Mulcahy is one of Ireland’s most gifted multi-instrumentalists in Irish traditional music today. Considered to be one of Ireland’s most adroit and creative harpers, she is a regular performer and tutor worldwide. 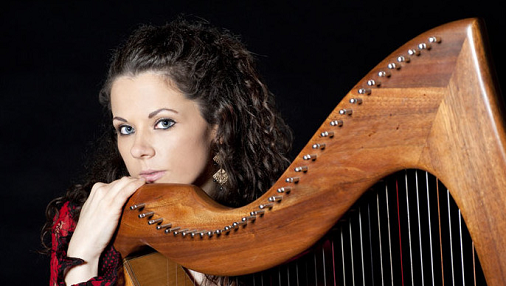 Michelle was awarded the prestigious TG4 Young Musician of the Year and her solo harp debut album is Suaimhneas. Armed with a B.A(Mus) a masters in Ethnomusicology and Music Education she recently completed her doctorate.